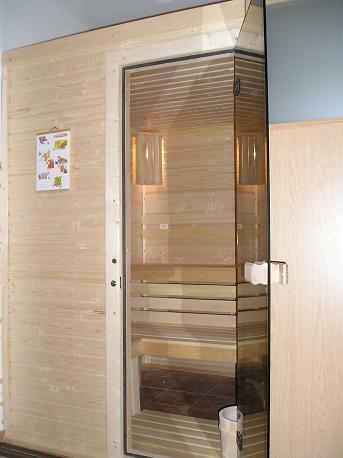 one of Bratislava's nicest and most luxurious apartments which offers Finnish SAUNA for pleasure, relaxation and strengthen health ( on request). 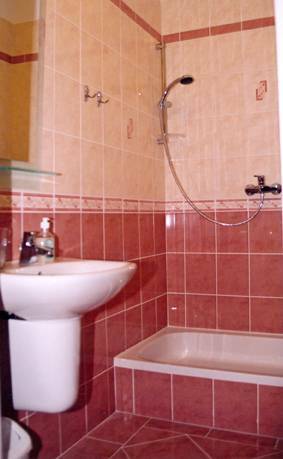 Apartment is carefully restored, situated in historical building right by the old city center of Bratislava! All the interesting sights are reachable by foot. You can visit the Castle, the Presidential Palace, the Slovak National Opera Theatre, the St. Martin Cathedral, the Main square and shops and traditionsal restaurants and pubs too. There are boat trips to Vienna possible. The Castle, the Presidential Palace, the Slovak National Opera Theatre, St. Martin Cathedral, Main Square and a lot of shops and traditional restaurants are nearby. 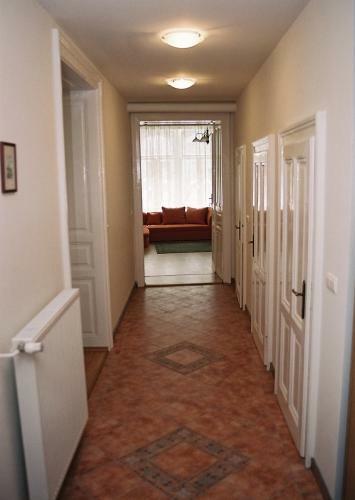 The perfect location of the apartment is in the historical part of the capital of Slovakia - Bratislava. The owners of apartment can offer you an apartment which provides very high standard of accommodation with hotel level. The adress of apartment is Heydukova Street No. 3. This apartment is located in a historical building in central part of town, with a nice view to the green and quiet yard from balcony. It has recently been completely refurbished and furnished with brand new equipment. Internet is available in Inrenet Caffe on house ground floor. Bedrooms with own bathroom and toilet are very pleasant for couple. Each bedroom has two beds which can be connected as double bed. Rooms have their own security locking which guarantees the guests an absolute security. Each room has TV with satellite with more than 50 channels! 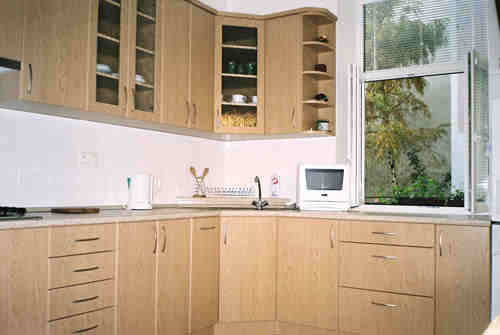 There is a self-catering kitchenette for fast breakfast or dinner with, microwave, kettle, refrigerator, freezer, dinner service and utensils. Parking is available directly in front of the apartment. City tax from accommodation is not included in the price. It is 50 Skk (around 1, 7 EUR) per person per night. With this tax the price is final. In case of bigger group you may be asked for a damage deposit of 200 EUR which will be returned to you at your departure. Important information: because the accommodation is in private apartment please be so kind and let us know your exact time of your arrival by SMS (on the telephone number which you can see on booking details) ASAP so that we can wait for you with your keys and make your stay comfortable without waiting. Parking in underground garage /30 m far/. 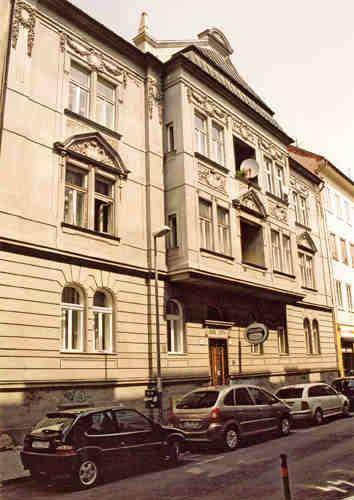 The perfect location of the apartments is in the historical part of the capital of Slovakia - Bratislava. You can visit the Castle, the Presidential Palace, the Slovak National Opera Theatre, the St. Martin Cathedral, the Main square and shops and traditional restaurants and pubs too. The owners of apartments can offer you apartment which provides very high standard of accommodation with hotel level. _______________________________________________________________________________ The adress of apartment is Heydukova Street No. 3. This apartment is located in a historical building in central part of town, with a nice view to the green and quiet yard from balcony. It has recently been completely refurbished and furnished with brand new equipment. Accommodation options and apartments amenities: Bedrooms ( 25 square metres each) with separate bathroom and toilet are very pleasant for couple. One bedroom has double bed and one extra bed and the second one has two separate beds and one extra bed. Rooms have their own security locking which guarantees the guests an absolute security. The whole apartment is very spacious (115 square meters at all). It consists of two bedrooms, two bathrooms and two toilets, big living room with comfortable sofa and a welcoming fire-place (50 square meters at all). It is very comfortable for bigger group of guests too. Bed linens and towels are free of charge. Each room has TV with satellite with more than 50 channels! There is a spacious self-catering kitchen with a dining space, gas cooker, microwave, refrigerator, freezer, washing machine, dinner service and all utensils. Big hall has a space for luggage. The kitchen is shared. Parking is available directly in front of the apartment. Parking in the underground garage (30 meters away.) _______________________________________________________________________________ ________________________________________________________________________________ General information : Check- in time: after 14. 00 Check-out time: before 11. 00 City tax from accommodation is not included in the price. It is 50 Skk (around 1, 5 EUR) per person per night. With this tax the price is final. In case of bigger group you may be asked for a damage deposit of 100 EUR which will be returned to you at your departure. Important information: because the accommodation is in private apartments please be so kind and let us know your exact time of your arrival by SMS (on the telephone number which you can see on booking details) ASAP so that we can wait for you with your keys and make your stay comfortable without waiting. 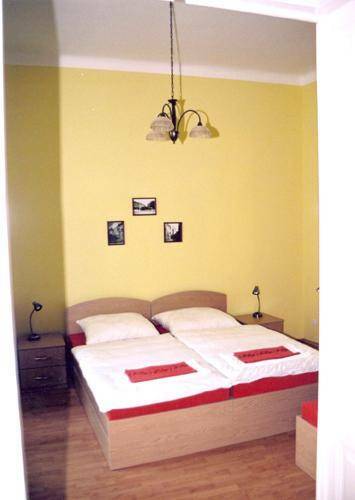 The perfect location of the apartment is in the historical part of the capital of Slovakia - Bratislava. You can visit the Castle, the Presidential Palace, the Slovak National Opera Theatre, the St. Martin Cathedral, the Main square and shops and traditional restaurants and pubs too. We dont accept credit cards. Payment is upon arrival in cash (in Slovak Crowns or in Euros). Nearby: Tesco Department Store, Main Square, Primary Palace, Presidential Palace.